When people seem to have reached a plateau in their weight loss programme they are often tempted to turn to a juice diet. While there are many potential health benefits to this process, it is something which should be approached with care. Juice diets involve pulping fruits and vegetables into a drinkable form, usually with some kind of food processor. While consuming fruit and vegetables in this way can help certain people consume more of the nutrients that they need, as a way of just losing weight, it needs to be approached with care. 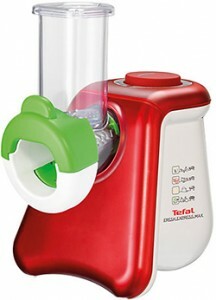 A range of food processor models is available, many of which can be used to turn fruit and vegetables into juice. Simply replacing meals with juice drinks is not enough to lose weight healthily though. Your body also needs to be supplied with protein and other nutrients in order to rebuild itself into a healthier form. Anyone undertaking juice diets of any kind should also know that it can be hard to sustain weight loss once the diet is given up. Any return to normal eating habits is going to see a gain in weight occur. This is why, generally speaking, it is better to replace items in your diet with more fruit and vegetables, rather than just eating less. Your body’s metabolism always requires a period to adjust to any new regime and it can change slowly sometimes. Any change in diet must be balanced up with the energy requirements of a new exercise regime too. If you are exercising, then your body will need enough energy to carry out the physical demands you are placing upon it. If you do not consume enough calories to fuel your exercise you can end up being ill, as well as actually putting on weight as your body attempts to store fat. Simply consuming less calories is not enough to lose weight, you must also consume the right kind of food to ensure that your body has enough calories to function, as well as having the right nutrients for you to stay healthy. Juice diets can therefore work very well as part of an all-over lifestyle change and as a supplement to a more healthy overall diet. Relying on juice for the majority of your energy requirements and simply reducing the number of calories you consume for a period is not likely to result in any positive, long-lasting changes, but will produce temporary weight loss which will soon reverse. What is key to the success of any juice diet or other process is taking the right medical advice from qualified professionals. If you are in any doubt at all about the pros and cons of any kind of diet, the best person to speak to is your doctor. Failing that, speak to a nutrition and fitness specialist. They will be able to tailor a diet and exercise programme to suit your body type and fitness goals. This entry was posted in Diet, Juice drink and tagged food processor, food processor model, juice diet, weight loss juice drink on July 31, 2013 by Yami.